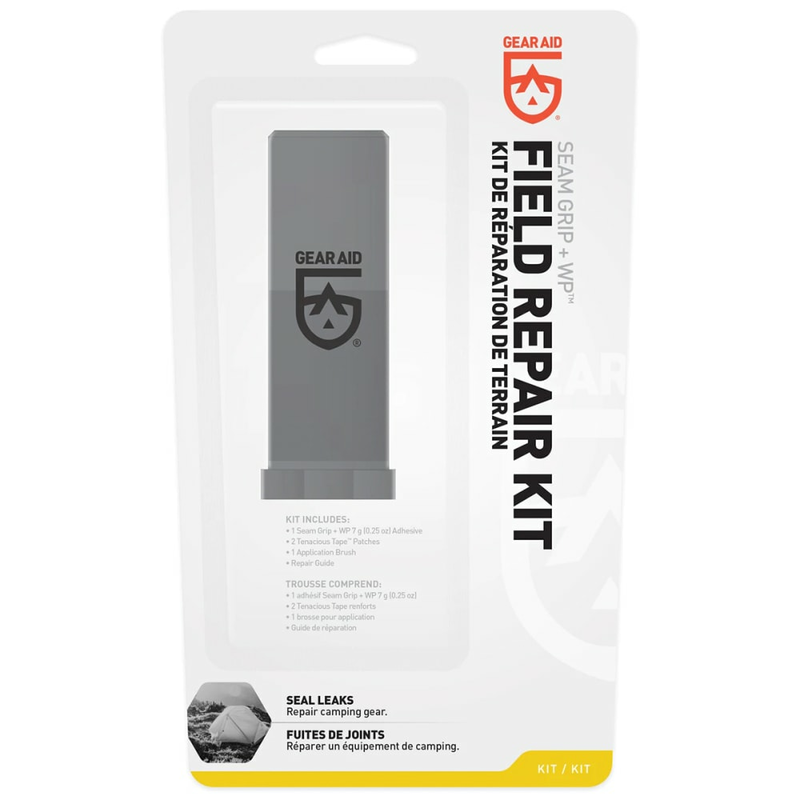 Compact and versatile, Seam Grip Field Repair Kit is ideal for repairing sleeping pads, tents, packs, outerwear, boot and shoes, gaiters, gloves, and more. Compact carrying case: 3 3/8 in. x 1 1/8 in.